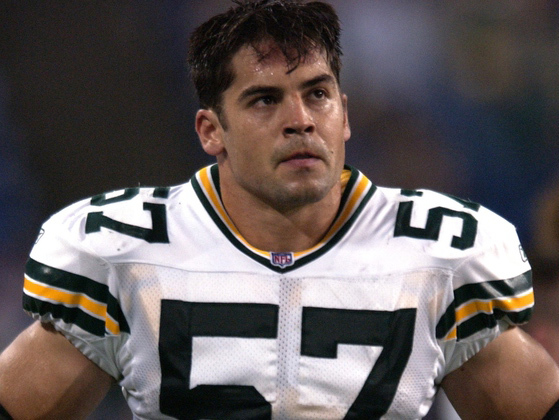 Chris Gizzi is a former NFL LB who spent 4 seasons in the NFL. 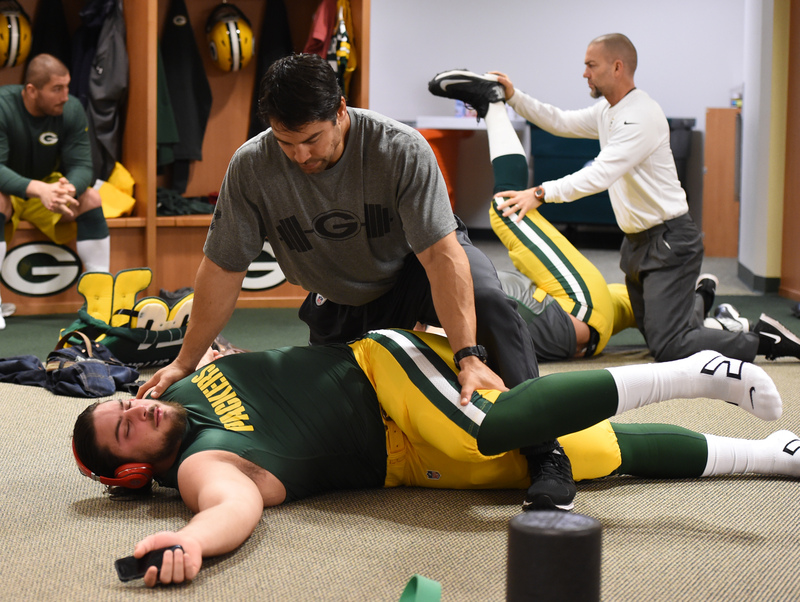 Passionate about coaching and sports' influence on health, Chris returned to Green Bay as an assistant strength & conditioning coach. Q: When contemplating retirement, what thoughts were going through your head? "Sometimes you do have to start at the bottom and work your way up again. When you’re at the pinnacle of the NFL, it’s probably one of the toughest things to realize." When I got injured, I saw the window wasn’t as open as it once was. The realistic chance of competing and making a roster wasn’t there. I knew I wanted to be in coaching and fitness. I had a chance prior to playing in the NFL to coach college, so I kind of knew what that was like and enjoyed it. I've always been drawn to the training, fitness, and strength conditioning side of things, so I tried my hand at that – it’s what I still do today. Q. What did you do with your free time immediately after retiring? After rehabbing my last injury, I had a unique transition which I believe really helped me. When I didn't make a roster, I needed a bit of a break. I helped out a high school team and a college team. Then, I started doing stunts in movies. I found myself in Los Angeles and had a buddy who was in a movie. He told me to come out, and I made fast friends with some folks who did stunt choreography for films. A lot of the films I did stunts for were sports based. It was like being on a team, again. I think it helped me transition because I still got to hit people. It’s real but you’re staging and choreographing it. The element of risk is a lot more controlled. That experience also helped me figure out I wanted to lead, I wanted to be in coaching. Football is a tough sport to transition from because you can’t just play a pick-up game or join a league like basketball or softball. There aren’t flag football leagues as satisfying as playing in the NFL. "Football is a tough sport to transition from because you can’t just play a pick-up game or join a league like basketball or softball." Q. Describe the process of transitioning into coaching. It's been a long but fun road. I started working at a gym in California, helped out with youth camps, ran boot camps, etc. I tried to coach everyone I possibly could, so I could get better at coaching. I quickly started my own business, and Los Angeles is a really great area for that. I stayed in LA and made good professional contacts throughout my time there. My years as a player and my passion and work ethic helped out with that, as well. I quickly got into studying and expanding my professional knowledge. I always had an interest but decided to get the certifications and formal education. I’m on a journey to reach the highest level of education, which is where I think you show people your dedication. You’re able to give, serve, and work together with them in a better way. Q. 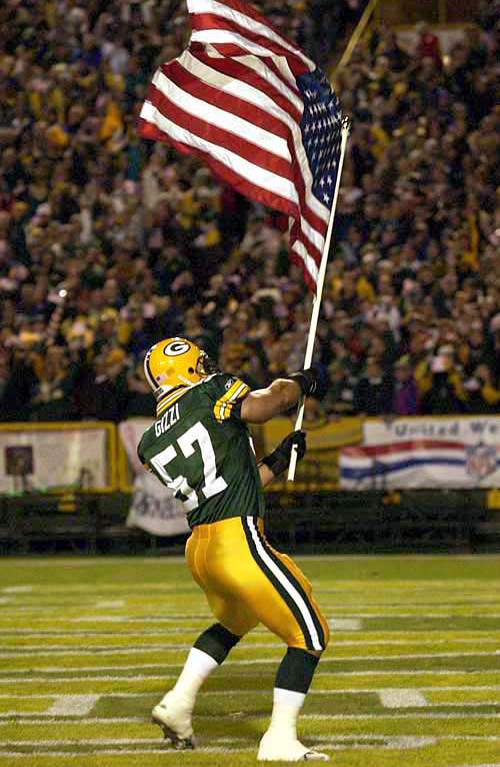 Tell us about your current position with The Green Bay Packers. I’m an Assistant Strength and Conditioning Coach, and this is my fifth season. 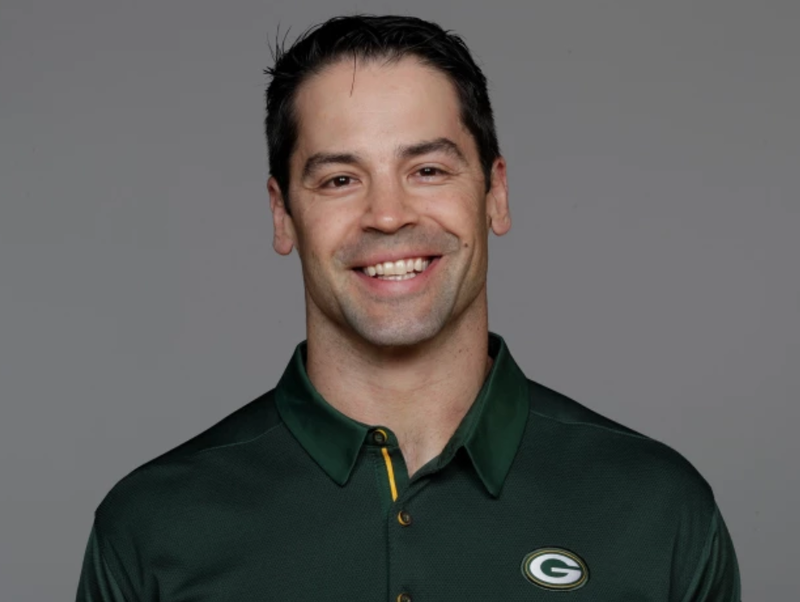 Mark Lovat, Green Bay's Strength and Conditoning Coordinator, was an assistant while I was a player – I always tell our guys about that. The thing that gave him more confidence to hire me for the job was he saw how I was as a player. I think it's important as a player to bring your best self and try to be excellent in everything you do. That's something I did professionally 15 years ago, and it helps me in my new phase of life as time passes. I'm sure there are other people I've done business with over the years in coaching, training or camps who remember me as a player, how I played the game, and how I went about my business. They can see I’m the same guy, just doing something different now. "They can see I’m the same guy, just doing something different now." Q: What is it like still being involved in football but not as player? Every former player who's a coach is still a player at heart. It’s a different role, I don’t get to make plays, but I get to share and contribute. I’m fortunate to be with an organization where it doesn’t matter what your role is, you’re still a part of the team. It’s part of the winning tradition here. This environment is what breeds success in a football team. "Every former player who's a coach is still a player at heart. It’s a different role, I don’t get to make plays, but I get to share and contribute." My “why” and what drives me is that there’s such a high level of personal satisfaction and internal motivation when you get to coach and teach someone. They obviously benefit from it, and then may take it and coach someone else they care about.You see this in fitness a lot. An example is on the show, The Biggest Loser. People learn something from their experience on the show and then go and share. I think that’s phenomenal. It’s the role we have as players, too. We can take what we’ve learned physically, not just about football, but eating, sleep habits, how we exercise and get fit and share that with the kids we’re coaching, or with family, it’s so satisfying. "My “why” and what drives me is that there’s such a high level of personal satisfaction and internal motivation when you get to coach and teach someone." Q: Do you have advice for other former players wanting to get into coaching? I tell everyone to make a document with emails or phone numbers of all the people you’ve met and learned from and can develop professional relationships with. We are all familiar with people and have personal relationships but making professional relationships in this business is vital. You have to let people know of your interest in the business. It’s the first gateway for people to start trusting you, as so much of this job is about trust. It’s no different than how we were as players. We come from all different walks of life, but we have to develop a trust with each other. Q: How did you hear about The Trust? Rob Davis, a former teammate of mine, talked to me about it because we always discussed our aspirations. He told me, ‘You should get the Brain & Body Assessment and find out more about The Trust’s Scholarship Award Benefit. I had no idea any of it was available. I quickly called The Trust and connected with them and my Program Manager, Nicole Jordan. It’s been phenomenal – everything is laid out very linear and their website is full of information. Q. How is The Trust helping you pursue your post-football goals with the Scholarship Benefit? I'm pursuing a Doctor of Health Science from A.T. Still University, a school in Mesa, Arizona. They’re mostly online curriculum based, so for working professionals like me, it’s really the only route I can take in order to pursue my doctorate. We're a busy family, I have four little ones. My wife and I love to work, and we love to push ourselves. She's a former Academy grad and Air Force veteran. Going back to school was something I knew I was going to do eventually, but to be able to do it now and have it impact my work right now has been phenomenal. I'm unique in my cohort. There are some people who are physical therapists or in the fitness industry, but I bring a very unique perspective being in competitive coaching and strength conditioning in that environment. I think this is where strength, conditioning, and human performance development is going. We have to see the big picture. We have to integrate and work with medical practitioners of all disciplines. We have to be tech and research savvy. Being able to work with people of other specialties is so important for today's coach at any level. I think everyone wants to contribute to making football safe, keeping it fun and then making sure that the game catapults you to your next endeavor, no matter the level you play. "Being able to work with people of other specialties is so important for today's coach at any level." Q. What should other former players know about The Trust? The Trust is an encouragement. It’s something which still expects you to make “plays.” As players, it’s not time to rest after retirement. Keep going and keep pushing forward, it’s when we’re at our best. The Trust helps with that. I’ve always been self-driven, but it was good to know I could reach out. There’s accountability so we can keep moving forward in whatever we are doing, just like we did as players. "As players, it’s not time to rest after retirement. Keep going and keep pushing forward, it’s when we’re at our best. " Q. 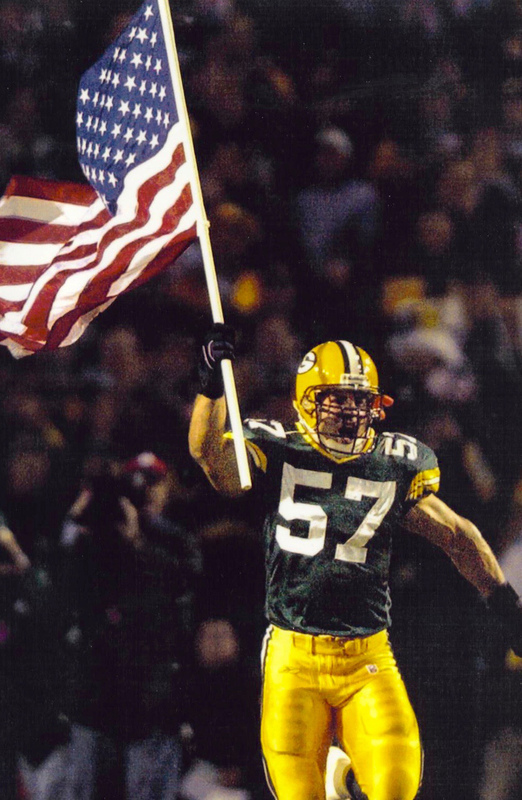 What is your proudest moment since leaving the NFL? There's been a lot of things with coaching which have been very satisfying but also with my family. My daughter was diagnosed with Perthes disease and it's not debilitating but it could be. Fortunately, she's not very symptomatic. I think about it like, ‘Alright, this is what I do as a coach." This is the first time I've really got to help someone who is part of my family. The way I treat players on our team at Green Bay or throughout the years is the same way I’m now looking at my daughter. I’ve been doing this thing the right way. I’ve treated everyone the same and now when it came down to it when the pressure was on my family, I’m being patient and pushing. 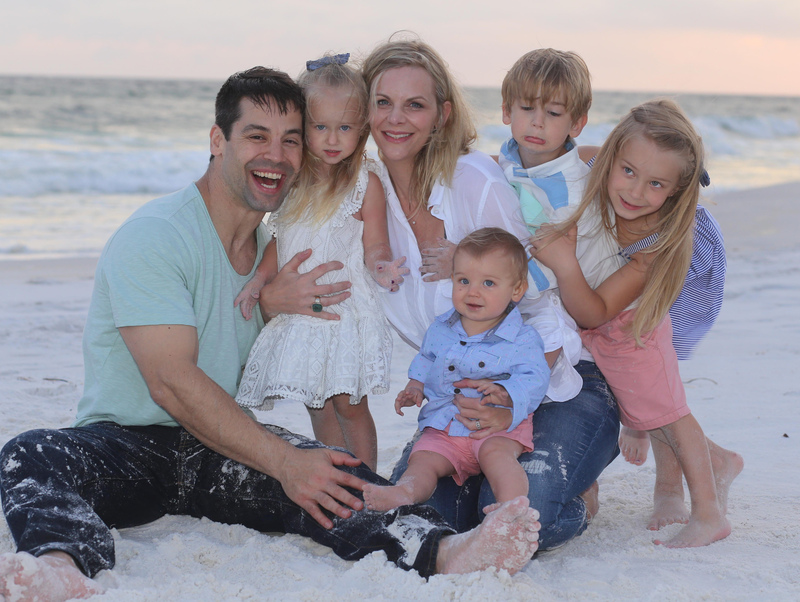 It’s been a proud way to exhibit what I am as a professional and what I’m doing as a father. I am proud of my wife too. She's also in the health and fitness industry and I think we've sent a good message to all our kids. We’re not going to let the winds of whatever push us around, we're standing up and fighting. "We’re not going to let the winds of whatever push us around, we're standing up and fighting."